“The Saint of Last Resorts” is the first half of a two-episode story. The second half will air in its new 8pm time slot on Friday, January 16, 2015. There are a lot of references to new groups and creatures, so a little explanation of terminology may be in order. •Brujeria: The Brujeria are members of an ancient coven of warlocks from South America. They are incredibly evil, and for centuries have worked toward the goal of destroying Heaven and unleashing powerful entities of greatest malevolence upon the earthly plane in pursuit of that goal. The Rising Darkness is not just facilitating their plans—the Brujeria are in fact the actual cause of the Rising Darkness. They are that powerful and malicious. 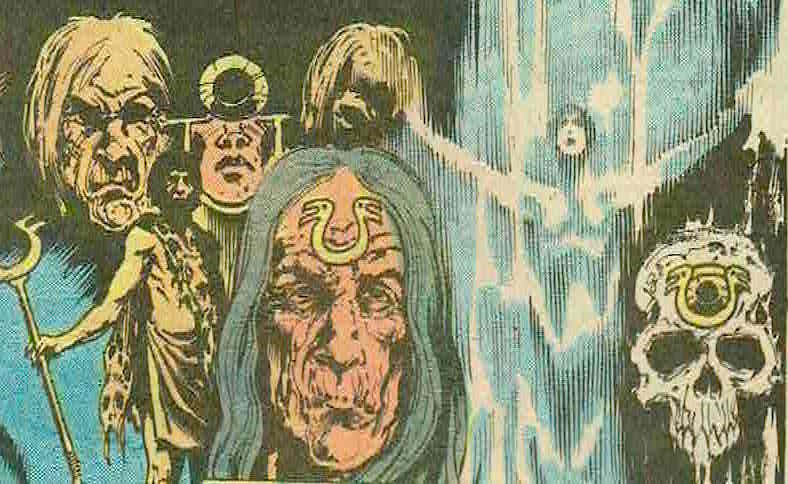 The Brujeria’s “central committee” is called The Council of the Cave, the members of which are under the protection of a monster of their own creation: the invunche. •Invunche: The Invunche, or Guardians of the Cave, are demons created by the Brujeria. 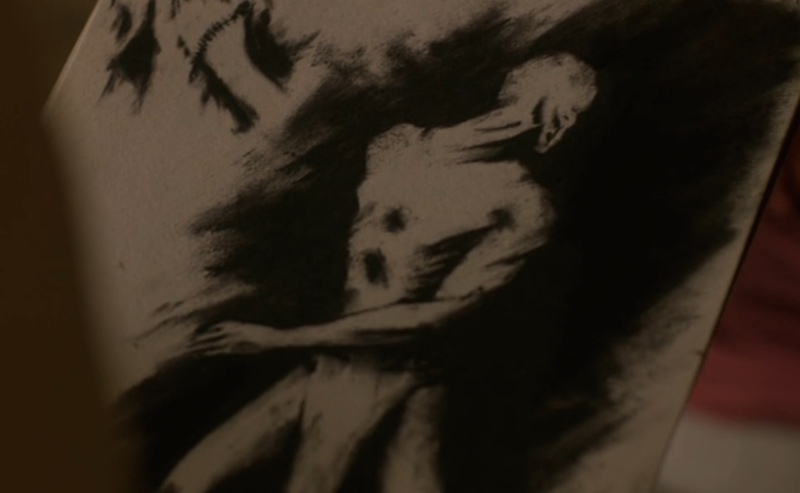 Leaving aside for now the horrid way in which this is accomplished, in this episode we see Zed making automatic drawings of one, and we later see one in the creepy flesh. Invunche are identifiable by their weirdly twisted and unnatural limbs and heads. 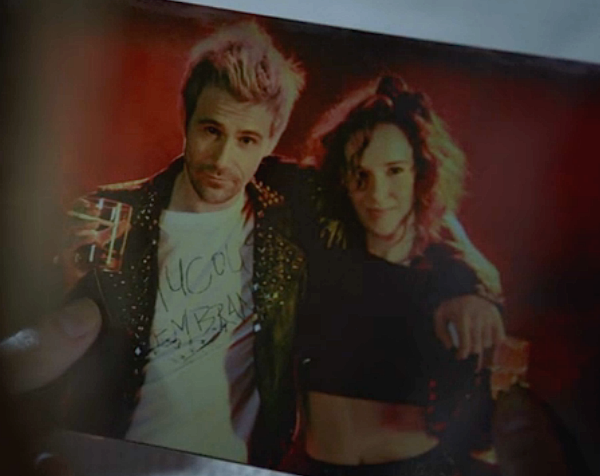 In the Swamp Thing books, an Invunche was responsible for the death of Emma, an American girlfriend of Constantine’s. •Resurrection Crusade: The Resurrection Crusade is a secretive, dangerously fanatical Christian group that Zed was involved with in her past. Their primary goal is to bring forth a new Messiah. They follow the frequent cult tactic of taking advantage of the young and directionless by offering them a semblance of family and sanctuary. Young girls and women are their most common targets, and are used for sacrificial and other nefarious purposes. There are a few classical demonic entities mentioned or appearing in this episode as well. 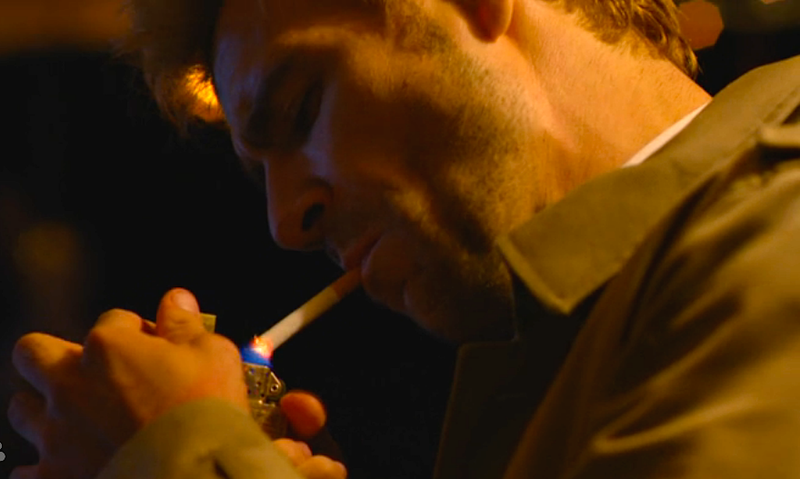 John Constantine refers to four of “Eve’s sisters” (meaning the Biblical Eve from the Garden of Eden). He names Lilith, Naamah, Durgia, and Lamashtu. Constantine’s term “Eve’s sisters” seems to refer to partners of Adam and “first woman” archetypes from various religious mythologies. •Lilith and •Naamah, as well as Eve herself, come from Hebrew religious tradition. Yahweh went through some trial and error when trying to create Woman, and Lilith was His first try at a wife for Adam. Lilith was created before Adam, out of the same dust. Lilith wasn’t willing to be subservient to Adam, though, and eventually left him. She’s been a baby-eating demon ever since leaving the Garden. During a century-long separation from Eve following their son Cain’s murder of their other son, Abel, Adam partied with Lilith and her companion Naamah (a descendant of Cain’s) for a while. Both women bore Adam demon kids, and were also mates to the archangel Samael, sometimes called the angel of death. Both Lilith and Naamah are also said to cause epilepsy in children. •Lamashtu is a Mesopotamian goddess-demon who shares many traits with Lilith (including a fondness for baby blood), and the two mythologies may have a common source. Lamashtu may also be the original penanggalan—a Southeast Asian vampiric demoness. But within the episode, Lamashtu is called the youngest of Eve’s sisters. The three faces of Eve: Lilith, the First Eve, and Eve in The Sandman. Issue #40, “The Parliament of Rooks,” 1992 (Gaiman/Thompson). But Durgia could also be The (nameless) First Eve. She was created after Lilith. Adam watched her being made, from bone to muscle to skin, and it grossed him out so much he wouldn’t take her for a wife. 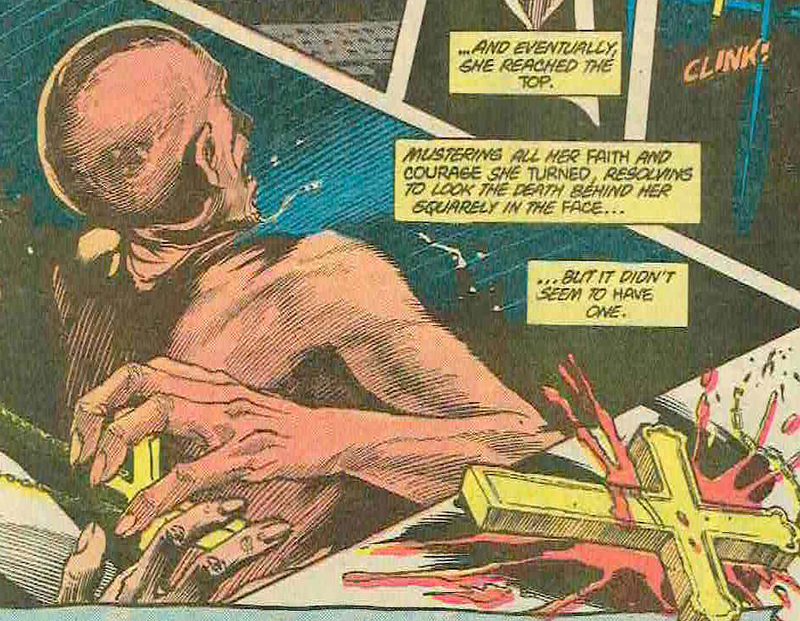 Religious texts don’t say where she wandered off to once she was rejected, but in the Vertigo comic universe, this is one of the three aspects of the woman of ever-changing age who lives in Eve‘s Cave in the Dreaming. •Pazuzu: King of the Demons of the Wind, Pazuzu is perhaps best known as the possessing demon in the Exorcist films (although not otherwise known for possession of humans). While Pazuzu himself is a dangerous demigod demon, he is often invoked as a ward against other demons, Lamashtu in particular. As in both The Exorcist and this episode, Pazuzu is usually called forth with an amulet or effigy bearing his likeness. •El Cucuy: The Cucuy is the Latin American version of what is better known in English-speaking countries as the bogeyman—that vague creature used in stories to frighten small children into good behavior. We also meet yet another member of the Newcastle crew. •Anne-Marie Flynn: The events of Newcastle had profound effects on all involved—in Anne-Marie’s case, she went on to take holy vows, living a cloistered existence within a convent. 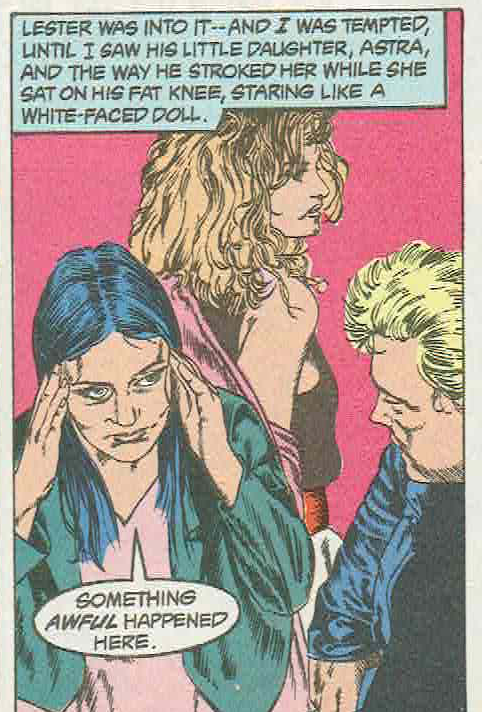 Anne-Marie is a psychic, and older than John (about 20 years older in the comic, but somewhat confusingly much less so in this episode). 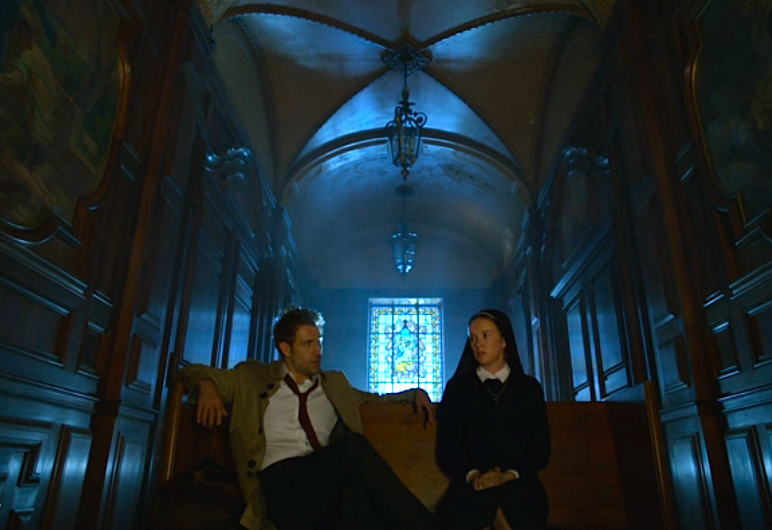 On the show, Annie was the first to introduce a teenage Constantine to the world of the occult. In a Mexican convent, a baby has been born. The father leaves baby and mother to fetch a glass of water, but while he is gone, a robed figure with long, gnarly hands and sharp, talon-like fingernails kills the mother and steals the infant. At Jasper’s, Zed is focused on drawing pictures of what John identifies as an invunche, a creature he assures her only existed in the distant past. While John heads upstairs, Zed looks up to see a woman in a white cotton nightgown standing in the room with her. We recognize her as one of the nuns from the Mexican convent, but John comes downstairs and recognizes her only as his old acquaintance from the Newcastle days, Anne-Marie Flynn. He also sees that she is not really there. This answer’s Zed’s question of how she got into the millhouse—she didn’t. She is using the psychic skill of bilocation to communicate with Constantine, as she needs his help with the baby-snatching situation—though she makes it clear she would have been happier to have never had to speak to him again. 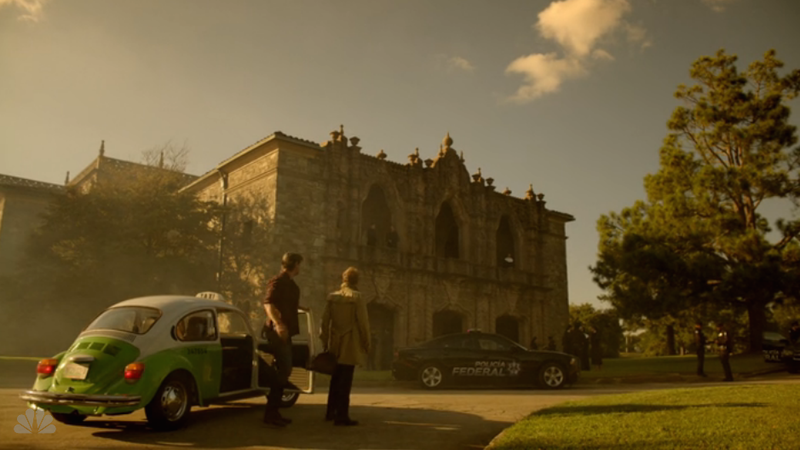 John is going to Mexico with Chas and leaving Zed behind, even though she is the only one of the three who speaks Spanish. 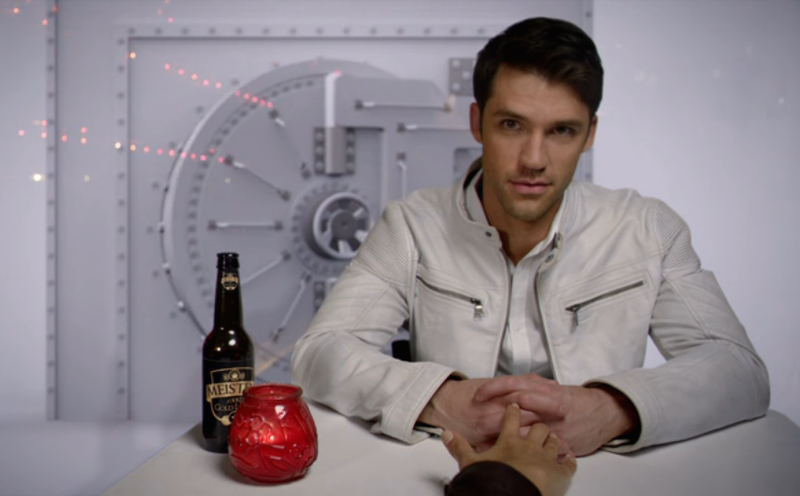 She held the heart of an evil angel in her bare hand at the end of the last episode, and John believes she needs time to recover from the ill effects. He sets the house traps before leaving, and cautions Zed to not leave the millhouse. We wonder how that’s going to work out. 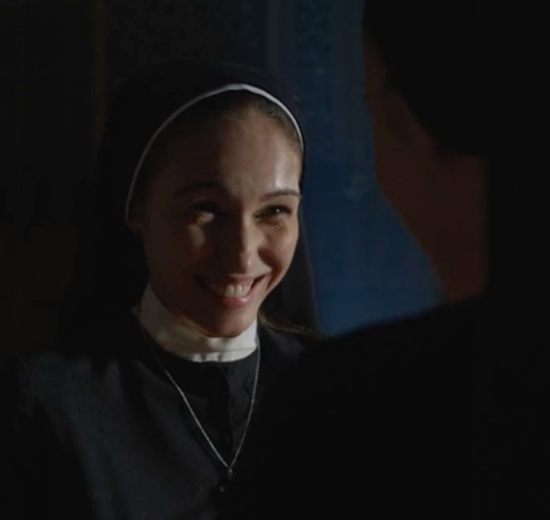 Upon arrival at the address given to him by Anne-Marie, John is surprised to find that it is a nunnery, and equally surprised to find that Anne-Marie is herself a nun. In the room where the birth and consequent murder and kidnapping took place, there is a small hole in the wall. Annie says it’s from mice, but many “wall-dwellers” target children—duendes, fairies, and nursery demons are all suggested as possible supernatural kidnappers of infants. John will use runes to try to narrow the field of suspect creatures. Sister Anne-Marie, John, and Hugo sit around Hugo’s kitchen table, a bloody pear and a bottle of tequila before them. John pours shots for himself and Hugo. (He tries to pour one for Annie as well, but she gives him a “don’t be an idiot” look.) John explains that he believes this evil goes back to the Garden, and that the child was taken by one of Eve’s sisters. The phone rings, and we learn that another newborn has been abducted from the convent. We next see Zed downtown in an art supply store. What the hell, Zed? Sure, poking around Jasper’s by yourself can be unnerving—that person-sized dumbwaiter, and the door that opens out onto a bottomless void, probably were weird things to find this afternoon—but that doesn’t mean you should leave. What about all the traps? Eddie, the suspicious model she stood up in the last episode, is there at the art store too. Surprise! They go out for drinks together, and at one point she touches his hand. She has a vision of him in a white room, in white clothes, with a white wall safe behind him. She now knows Eddie’s a threat. She fake flirts with him and invites him back to Jasper’s, looking for home-court advantage. At the scene of the latest kidnapping, the young mother says she somehow slept through the abduction. A young man bursts in—it is Hugo’s teenage son, Mateo. He is the father of the kidnapped baby girl. There is a family connection between the stolen infants. John heads outside to a fountain to perform a spell that will invoke a reflection of the sister of Eve so he can identify her. While he is spreading earthworms around the fountain’s edge and chanting in Latin, Sister Louisa comes running up to him, asking him to return to the group. He can see that Louisa is trying to distract him from the fountain, but he still manages to spy her face in the water, showing him that she is the culprit. But he must learn her name. 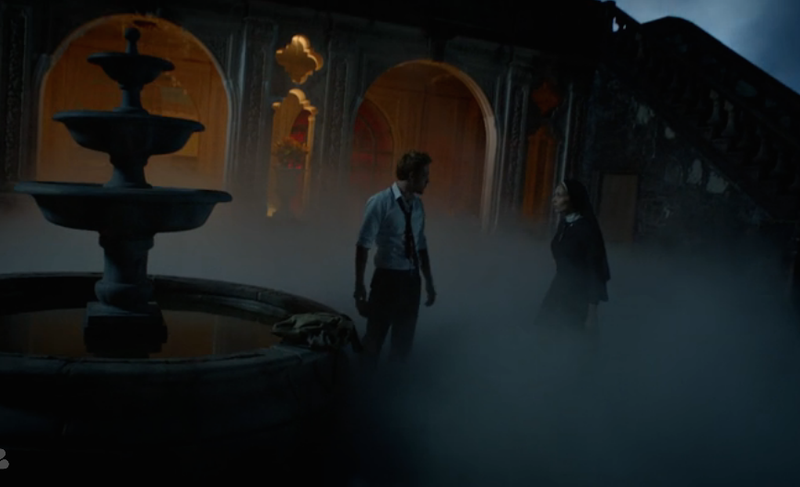 As he speaks her true name, Sister Louisa turns monstrous and attacks, shoving Constantine’s head into the fountain water. John is able to inflict a stab wound to Louisa/Lamashtu, and she slithers away. Zed and Eddie are at Jasper’s. Zed gives Eddie a smooch, then tackles him and slams him against a railing. She stands Eddie up and punches him out. Eddie’s not exactly a little guy; Zed has some serious martial skills. At the fountain, Constantine tells the others that Sister Louisa is Lamashtu. Back in the day, Anne-Marie was the person who taught John about Lamashtu in the first place, and knows that she’s more of a baby eater than kidnapper—“Lamashtu enjoys babies for their … nutritional value.” So why are the babies still alive? They will go see Hugo’s Chilean grandmother to ask about family history—there must be a reason Lamashtu would take babies from this bloodline, yet not devour them. John paces the porch and smokes. He’s rattled. He suddenly realizes that the Brujeria must be behind the Rising Darkness, and he has no idea how to even begin to fight such evil power as theirs. But he hatches a plan nonetheless, to at least save the babies. Anne-Marie thanks John for his honesty, and agrees to make the handoff. 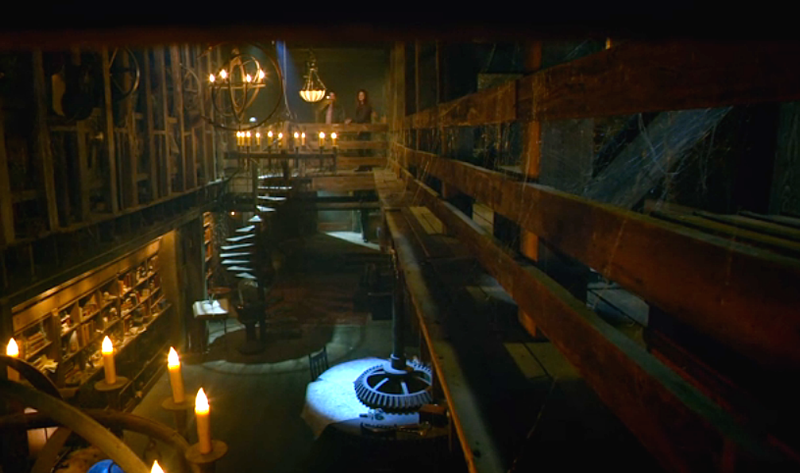 At Jasper’s, Eddie is now tied to the upstairs railing. Two more Crusaders manage to gain entrance to Jasper’s. We guess Zed must have disabled all of the traps by leaving earlier. One Crusader has a gun. Zed tries to threaten to kill Eddie, but the male Crusader, the same man we saw in Eddie’s back seat last week, just shoots him. The Crusader then pulls out a hypodermic needle. At the convent, John and Annie are preparing to make the bloody chicken offering to Lamashtu. 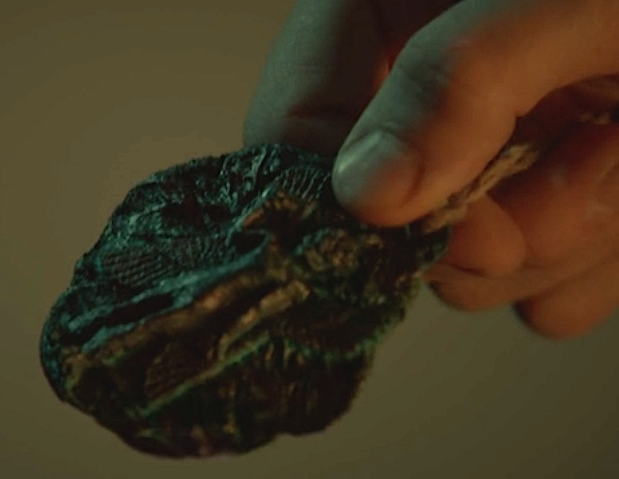 Before leaving Anne-Marie to complete the mock sacrifice, John gives her an amulet of Pazuzu for protection. They grant each other forgiveness for past sins, and have a bit of a snog. John then joins Chas and Hugo to lie in wait, and the ritual begins. Lamashtu takes the bait and snatches up the chicken. Hugo stupidly jumps out and shoots at her, and she runs. They all follow her into tunnels beneath the convent in search of the babies. But first, Annie takes possession of Hugo’s gun. Annie and John find the babies, but Lamashtu has discovered the changeling chicken ruse. She confronts Annie and John, and John uses the baby Diego as a bribe to try to learn why Lamashtu is working for the Brujeria. The coven has promised to expand her domain to include not just Hell, but Earth. They plan to break the boundary between the realms. 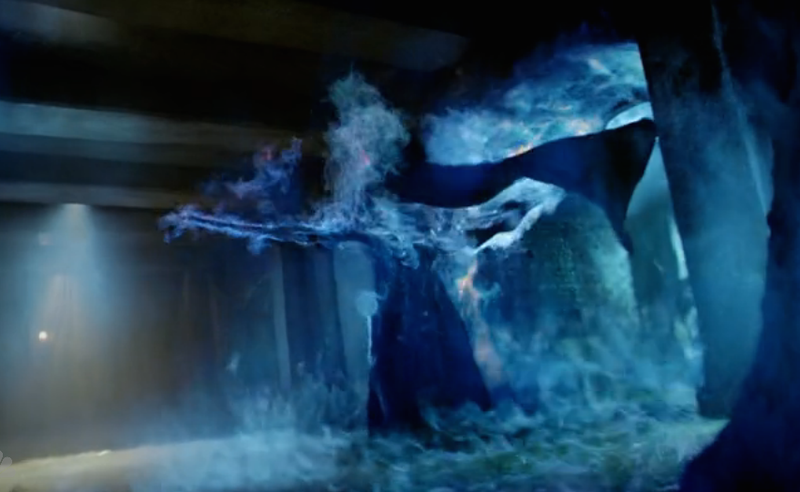 Constantine and Sister Anne-Marie then avoid being murdered by the furious Lamashtu by using the Pazuzu amulet to summon the demon, which causes Lamashtu to be enveloped in a fiery blue whirlwind and sucked away into some netherworld. Annie hands one of the babies off to Chas, who heads for the surface. But the sound of another wailing infant can be heard echoing in the tunnels, and they fear another child is still down there somewhere. Lamashtu/Sister Judith is gone, but there is something else approaching in the tunnels—something long and pale and horrible. 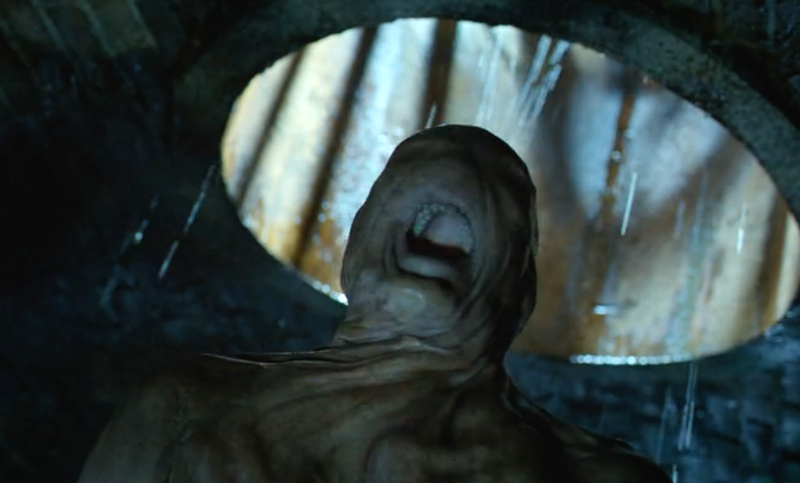 It’s an invunche—guardian demon of La Brujeria, as we saw in Zed’s drawings. As it comes closer, Annie remembers that you don’t need to be able to outrun your aggressor; you just need to be faster than somebody else. 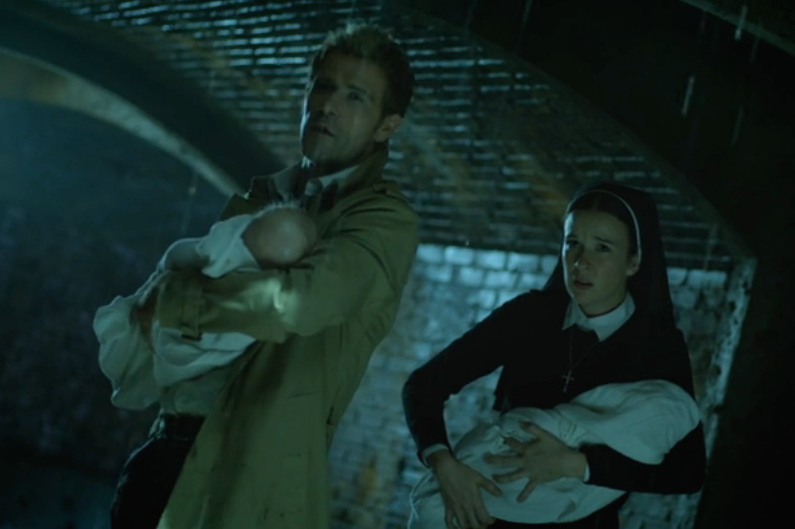 Still holding one of the babies, Anne-Marie repeats John’s remark that no sacrifice is too great to protect the innocent, and shoots Constantine in the gut with Hugo’s pistol, leaving him to die from the gunshot wound, the invunche, or both. 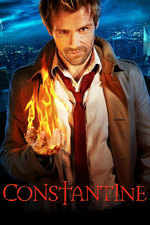 We enjoyed this episode and its numerous references to storylines from both Hellblazer and early-’80s Swamp Thing, where we met Constantine for the first time. Was Sister Anne-Marie the trusted person who Cedella warned John about in Episode 5, or will it turn out to be someone else? We can’t wait to find out.